The best promotional items are those that make consistent brand impressions at easy rates and this is possible only when the recipients see your brand more often. This is where keychains earn a few brownie points because your brand and message on these daily use items will always remain right in plain view of your audience unlike many other gifts that remain shoved into the drawers or closers and remain forgotten. 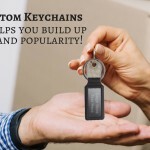 If you thought enhancing your advertising scheme on a budget is near to impossible, you could be in for a surprise with these pint-sized promotional favorites of keychains that can literally turn your brand popularity on its head. Offered in a range of materials and color choices, branded keychains will fit in every branding campaign with ease thanks to its versatility and unbeatable popularity. Everyone needs and uses keychains on a daily basis to keep their keys safe and well organized. Some people even collect keychains as souvenirs or use it as adornments over their bags or purses. No matter how your recipients wish to use these colorful keychains in their daily lives, your brand and message on these will get the undivided attention of everyone around. Metal keychains boast classic finishes and are well suited to reach out to your high value clients and existing customers. Your brand and message imprinted on these elegant keychains will remain in the eye span of your audience and will set off word of mouth publicity. If you are looking for something funny and casual, plastic keychains will make a perfect pick. Offered in a bevy of eye catching colors and shapes, nothing imprinted on these keychains will ever get overlooked. These make perfect choices as mailer gifts, contest prizes and more. Quirky and unusually shaped keychains will make a delightful addition to the marketing mix of businesses to pique interest and engage the audience with a friendly dialogue with their message. 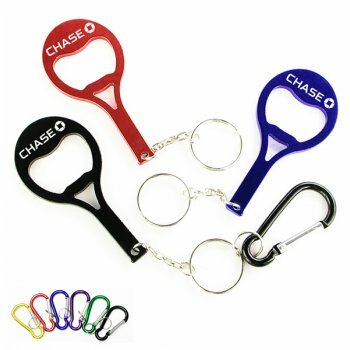 Here are some novelty keychains that make strategic handouts at sporting events and fairs for its simplicity. 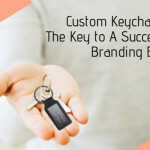 Ensure a professional makeover to these popular gifts by imprinting details of your company and see how these keychains do some work for your brand. Bicycle Shape Bottle Opener Keychains make excellent fund raising items for cycling clubs and events. Offered in a range of attractive colors, these logo items will add more wheels to your promotional capacity for sure. 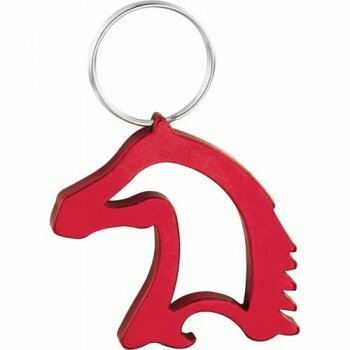 Another interesting choice to consider include these horse head shaped keychains that are great for promoting equestrian championships, chess leagues and staples among others. Your recipients will surely find these attractive keychains a welcome addition to their collectibles as well. 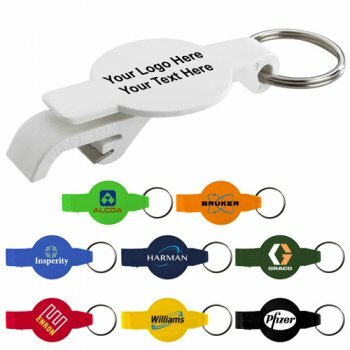 These keychains not just carry keys but make a talking topic for your recipients, which will give your message a viral promotion.